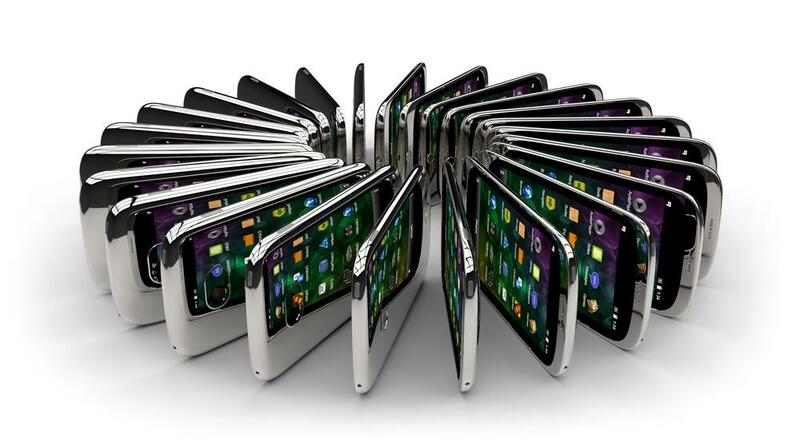 What's the best smart phone? Everyone comes to different conclusions according to their needs. 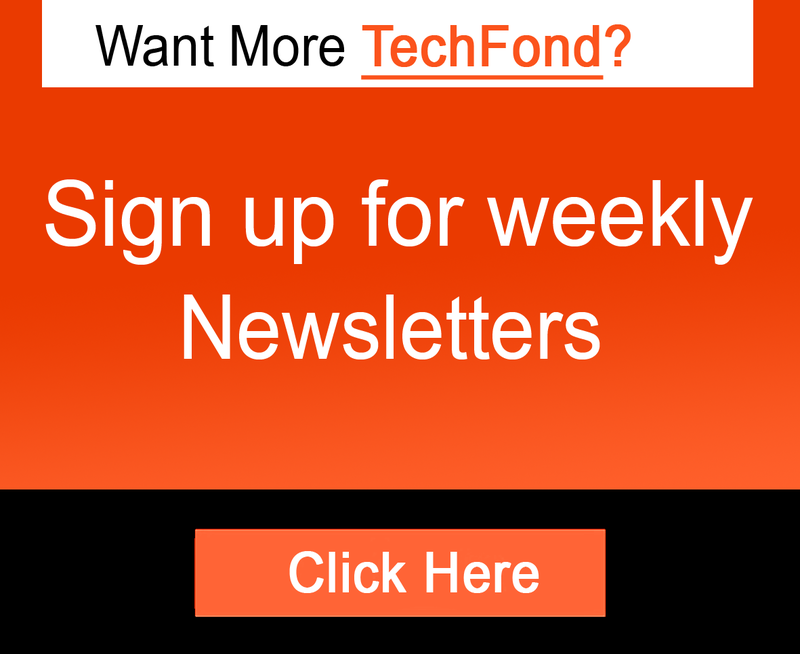 And recently there is website listed the top ten smartphones in July according to design, software, hardware features, price, and many other factors. 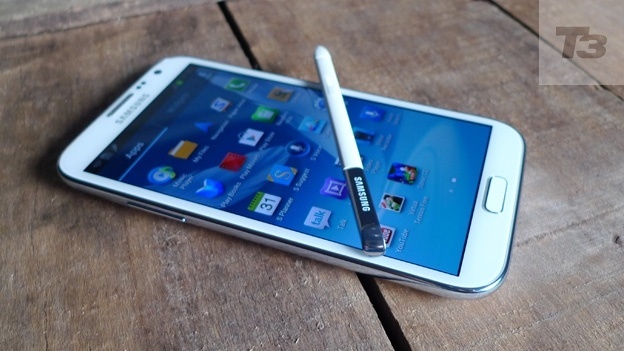 Samsung GALAXY Note II not only has high popularity and good sales performance, but also drives the industry's big-screen smartphone development trend. As a cross-border product which ranges between mobile phone and tablet, its biggest feature is the 5.5-inch high definition touch screen, which can bring unusual visual experience regardless of browsing the web or watching videos. And also excellent handwriting feature is also a major advantage of the device, the tip of the stylus uses conductive rubber tip designed for capacitive screen which can simulate real-world pen and paper effect. In addition to the excellent usage touch, a series of functions of the stylus possess, such as "gesture", "suspended operations" are also very attractive. Samsung GALAXY Note II is also equipped with Android4.1 system, built-in Orion Exynos4412 1.6GHz quad-core processor and with 2GB RAM. It provids 16GB, 32GB and 64GB three capacity versions and it supports for memory expansion. 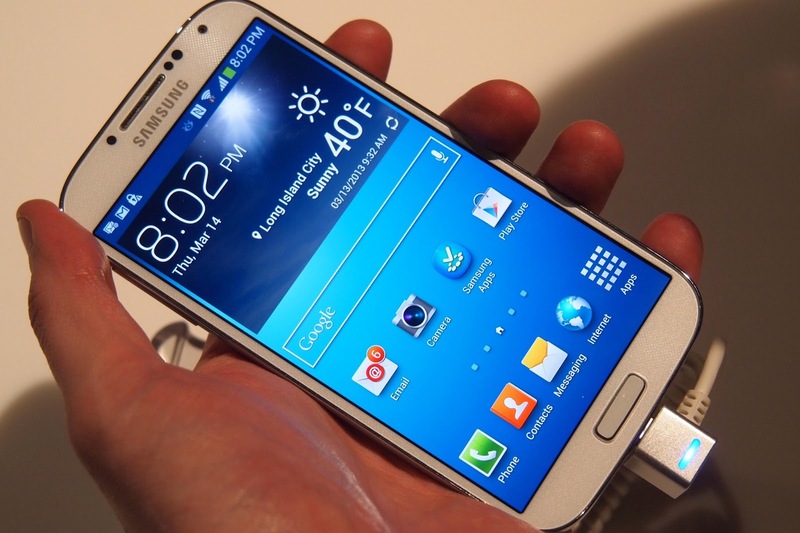 Samsung GALAXY Note II also has a 8 MP camera, and its 2500mAh battery capacity is increased to 3100mAh high-capacity. As currently the most powerful LG flagship, the Optimus G Pro has very powerful hardware configuration and pleasing appearance. The new device is not only with 5.5 inches FHD IPS touch screen, and also in order to provide a better user experience, it specially designs "one-hand mode", when in use the large keyboard in touch screen will automatically reduce to meet the normal one-hand calling or messaging operation. 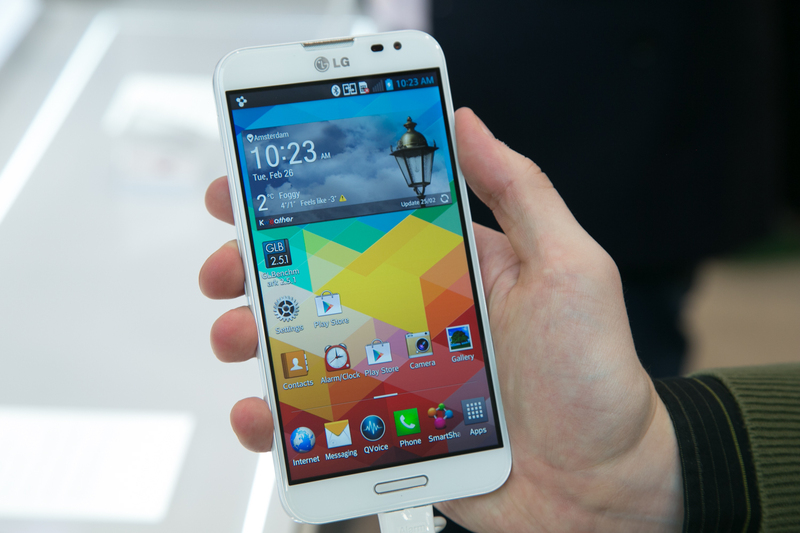 LG Optimus G Pro is also equipped with Android 4.1 system, and also provides "smart screen" feature, the phone can determine whether to automatically lock the screen via front camera detecting if human faces are looking at the screen. In addition, it also supports unique QSlide multi-tasking capabilities. LG also equips the mobile with Qualcomm Snapdragon 600 series processor, 2GB RAM and 32GB storage space capacity, it supports up to 64GB memory card expansion. It has 13 MP main camera and a 2.1 megapixel front camera, which provides auto focus, high-speed continuous shooting and other functions. In addition to provide Bluetooth 4.0 technology, SlimPort (HDMI and RGB) and NFC capabilities, the device also has the infrared emission feature, which can remote control compatible digital devices. Meanwhile, in order to obtain a better endurance performance, this phone is also equipped with a 3140 mAh battery. 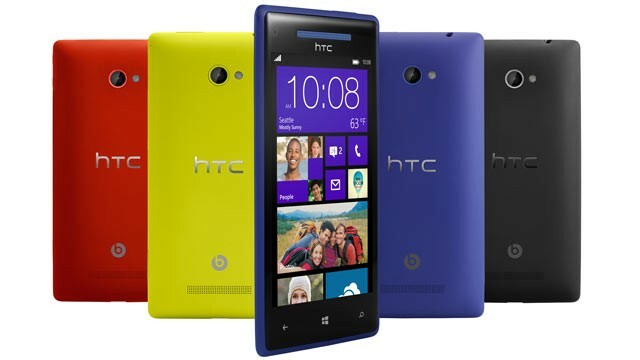 As HTC's first WP8 smartphone, HTC 8X has a simple shape and powerful configuration. The mobile is with 4.3-inch SLCD2 touch screen that support 720p resolution and 342ppi pixel density. And in order to obtain a more smooth experience, the device is also equipped with 1.5GHz Qualcomm Snapdragon S4 dual-core processor and 1GB RAM capacity. HTC 8X is also equipped with WP8 system, its main features are that you can customize the size of the dynamic magnetic stickers, and lock screen new "Quick Status" feature, your contacts will join "the club" feature as well as new "Kids Zone" function. However, the mobile uses unibody case, so the user can’t replace the battery, and because the mobile does not support micro-SD memory card expansion, the phone has only up to 16GB capacity available. HTC 8X has 8 MP camera that is with BSI back-illuminated sensor assembly, F2.0 large aperture lens and 28mm wide-angle effect. The front camera reaches 2.1 MP, which also has a large f2.0 aperture and 88-degree wide-angle. In addition, HTC 8X also equips with ImageChip video chip for the camera, which can improve the camering speed and quality. As the world's first smartphone with Full HD resolution touch screen, HTC Droid DNA official release can be described as very sensational. The mobile's 5-inch 1080p resolution SLCD3 touch screen, not only brings 1920 * 1080 pixel full HD resolution firstly in the industry, and the sub-pixel density reaches 440ppi. HTC Droid DNA is also loaded with 1.5GHz Qualcomm S4 Pro APQ8064 quad-core processor and 2GB RAM memory. In addition to supporting for LTE 4G networks and global roaming capabilities, the phone also supports Beats Audio sound and it's equipped with two 2.55V audio amplifiers, supporting speakers and headphones respectively. HTC Droid DNA is also equipped with Android4.1 system, and with the latest HTC Sense 4+ interface. In addition to 16GB storage space and supporting for memory expansion, the device has built-in 8 MP main camera and a 2.1 megapixel front camera, wireless connectivity such as Beats Audio, NFC, Bluetooth 4.0, HDMI output, DLNA and other features are also very complete. 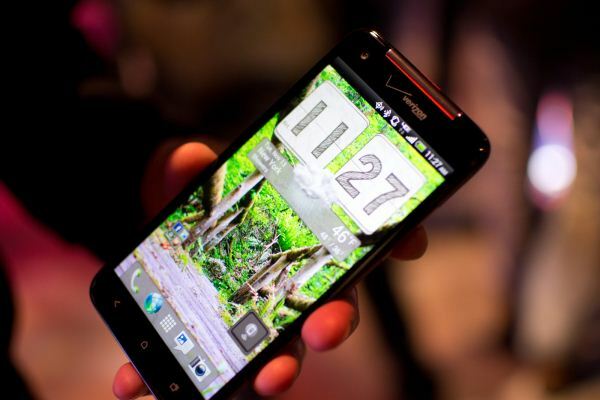 HTC Droid DNA provides red, black and white three colors, the bare metal price in the North American market is $ 599.99. Samsung GALAXY S4 not only has high popularity and attention, and also it creates a sales record of Samsung's flagship, its sales exceeded twenty million units in short time. This device is not only loaded with 4.99 inches FHD Super AMOLED HD touch screen and TouchWiz Nature UI user interface, but also with more refined display and unusual "glare" unlock effect. Need laptop accessories such as screen, keyboard, battery and drive, click here www.batterycentury.com. Samsung GALAXY SIV also has an eight-core Exynos 5410 processor and integrated PowerVR SGX544MP3 GPU, which can bring smoother control experience. It's with 2GB RAM, and has 16GB, 32GB and 64GB storage capacities. It has a 2.0 MP front camera and 13 MP main camera supports that supports multiple camera modes. Samsung GALAXY S4 will have the edition with Qualcomm Snapdragon 600 processor to be listed in North America, the phone will provide blue and white two colors. LG Nexus 4 is undoubtedly the most popular model of the series, and because the mobile has a very low price in the official store, it was also considered to be the most cost-effective smartphone. And in terms of functionality, this pure version Android phone is equipped with 1280 * 768 pixel 4.7-inch IPS touch screen, and it uses In-cell technology, so the touch screen becomes more slim. LG Nexus 4 is also the first to equip with Android 4.2 system, it is with Qualcomm Snapdragon S4 APQ8064 quad-core processor and has 2GB RAM capacity. And in addition to providing LTE network, NFC technology and wireless charging and other functions, it also has a 8 MP camera with auto focus and 1080p full HD video recording and Photo Sphere panorama picture function brought vy the new system. LG Nexus 4 also supports gesture extremely popular Swype input method, user only on the virtual QWERTY keyboard, slide your finger to complete the entry. And because also supports Miracast wireless display standard, so without any Wi-Fi network connection to the LG Nexus 4 and smart TVs and other devices to easily share streaming audio and video. LG Nexus 4 also supports wireless charging function, it can compete wireless charging via Wireless Charging Orb inductive charging dock. Unfortunately the phone's battery is with built-in design, and does not support memory card expansion. Google edition Samsung GALAXY S4 has no difference with the original model in appearance, and also no change in the main hardware configuration, it's still with 5.0 inches FHD touch screen that supports 441ppi pixel density, 1.9GHz Qualcomm Snapdragon 600 quad-core processor, 2GB RAM and 16GB storage space. It's equipped with a 13 MP camera, which can be replaced by a 2600mAh battery. The biggest advantage of the Google version GALAXY S4 is that it's equipped with native Android 4.2.2 operating system, which means the phone is without any carrier junk software, nor Samsung GALAXY S series applications. And also it has been tested that the performance of Google edition GALAXY S4 is smoother than the TouchWiz edition, and even the battery life performance is also much higher than the original. 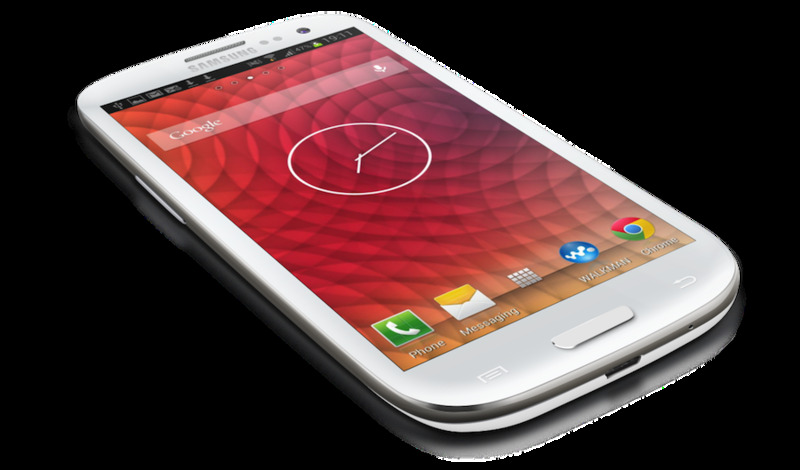 However, the Google version Samsung GALAXY S4 version will lack the rich of ordinary camera features. However, the native system enables the Samsung GALAXY S4 much thinner, it's not only with more smoothly operating speed, but also the the remaining capacity of storage has also increased from 7GB to 12GB. HTC One uses aluminum unibody design and 4.7 inches FHD SLCD3 touch screen, which provides the industry's highest pixel density of 468ppi. 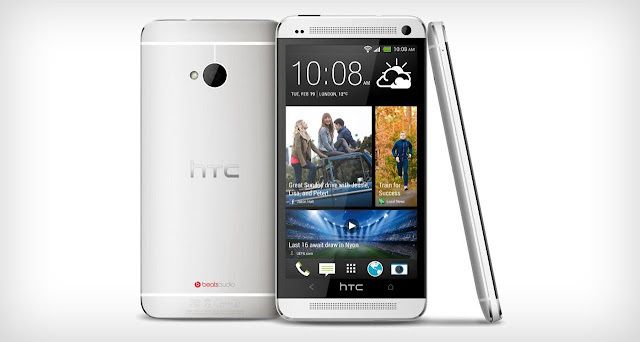 HTC One is equipped with Android4.2 system and new HTC Sense 5 interface, it's with many new software applications. It's with 1.7GHz Qualcomm Snapdragon 600 quad-core processor, 2GB RAM memory and 16GB/32GB/64GB three kinds of storage capacity. A major feature of HTC One is the use of 4 MP UltraPixel camera, which uses large-size light-sensitive components to expande single pixel volume and significantly improve performance in low light. HTC One is also equipped with two-axis optical image stabilization system, as well as HDR function for video. 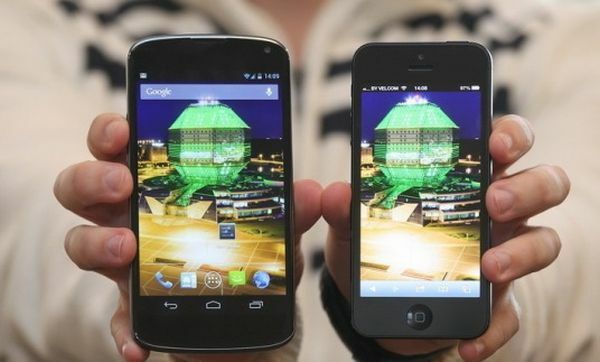 Google HTC One is exactly the same as the prototype in body design and workmanship. The hardware has not changed, the same with quad-core 1.7GHz Qualcomm Snapdragon 600 processor, 2GB RAM and 32GB storage space, with 4.7 inches FHD resolution Super LCD 3 touch screen, it provides support optics image stabilization feature UltraPixel camera and has 2300mAh lithium polymer battery. 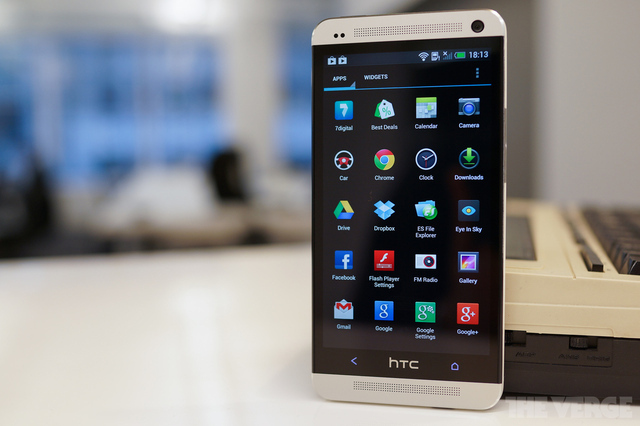 The major characteristic of Google HTC One is the use of Adroid 4.2.2 system. However, this phone gives up the BlinkFeed colorful polymer interface, infrared remote control function can not be used. It is worth mentioning that, Google version HTC One also retains the original Beats audio, but camera functions such as Zoe have been discarded. Although Apple iPhone5 doesn't bring disruptive change both in hardware and appearance, perfection of voice control (Siri), operating system, as well as video camera gets a lot of praise, and market performance is also very eye-catching. As the history thinnest and lightest iPhone product, Apple iPhone5 is not only 20% lighter than the past products, but also reduces the thickness to 7.6mm in the case enhanced performance. 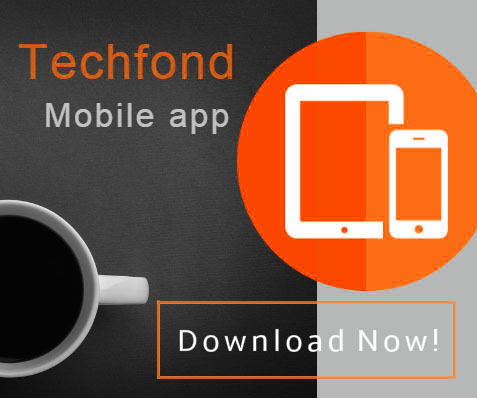 The mobile is with a 4-inch Retina touch screen that supports 1136*640 pixel resolution and 16:9 display mode. Apple iPhone 5 uses new generation A6 processor, the performance is two times enhanced than the past A5, and the system startup page, saving photos, loading music and other aspects are also loaded improved several-foldly. Its camera continues the 8 MP level, but it adds the sapphire glass mirror, panoramic camera and other functions. 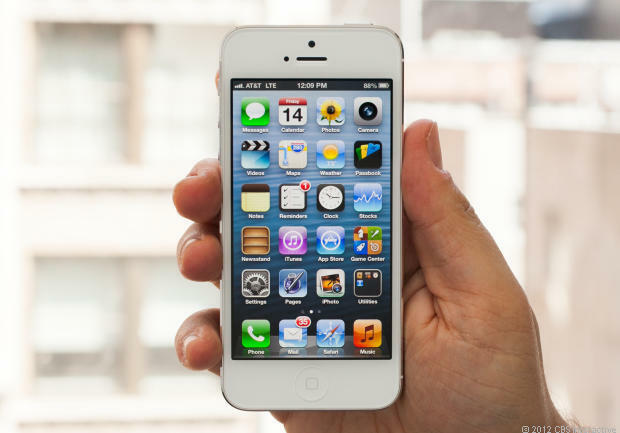 Apple iPhone5 is also equipped with iOS6 system, which includes new map application and free voice navigation function, and also strengthens the social networking feature.